Most commonly the guides for installing (GNU/)Linux distributions in virtual machines such as QEMU (+KVM) involve using emulation of a graphics display. This is most likely because it’s convenient, and most installation programs default to using VGA display on PCs. While this is mostly effortless, there are a few drawbacks. VNC requires listening a TCP port or a Unix socket on the server. If configure the VNC server to listen a TCP port, anyone can connect, so be sure to set a decent password for the VNC server. Still, even if you set a decent password, a security-conscious administrator might not want to expose that TCP port at all, possibly even locally. If you use a Unix socket, it’s a pain to use the VNC connection if the network throughput is limited. Even the VNC protocol does require a lot more network throughput to be usable than just a remote shell on a terminal would. The alternative is to switch to a virtual serial port as soon as possible in the installation. Most distributions do not support installation through a serial port out of the box, but BIOS may support VGA emulation on a serial console. That’s right; you get what you’d see on a VGA display to a serial port. Only text modes are supported, naturally. 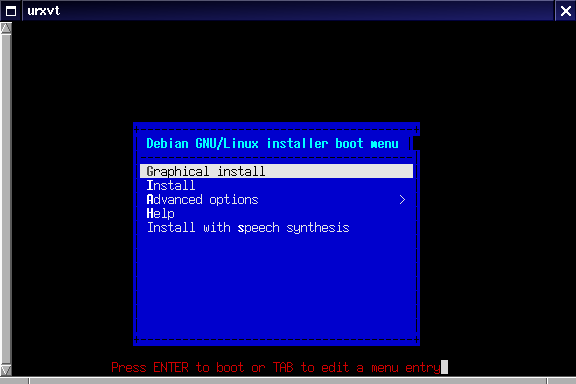 In Debian, the package offering such a BIOS ROM option is sgabios. This guide expects you’re also using libvirt. Edit 2018-04-12: In addition to adding the above lines, you will need to remove existing console definitions. 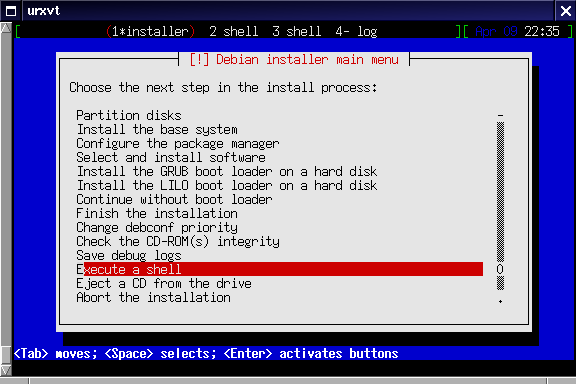 These instructions are for Debian stable. The same approach is likely to work on other distributions as well. You should see the first messages from BIOS or the boot loader, depending on how fast you connect to the domain’s console after starting the domain. You may also see nothing at all until you push the arrow buttons. And press enter. 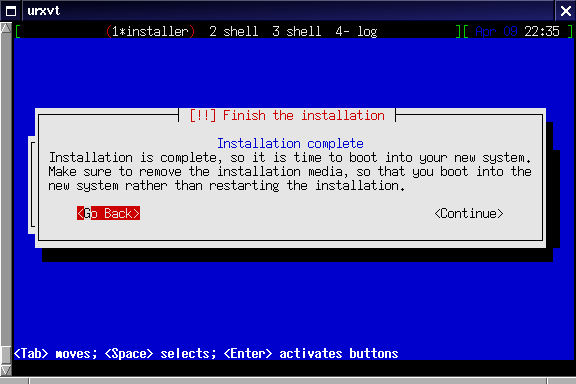 You should be able to continue the installation normally now. And you’re done! The next time you reboot the virtual machine, it should start off with the console available on the serial port right from the beginning. Now we’re ready to proceed to reboot the system. 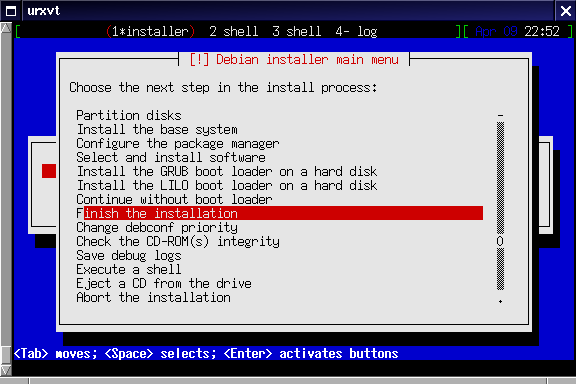 The installation is now complete and you can boot from the virtual disk, with virtual serial console enabled.